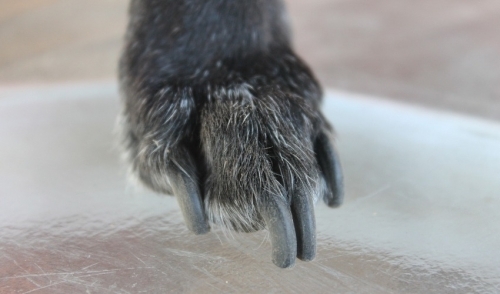 Velcro fastening for easy adjustment to fit your dog perfectly. 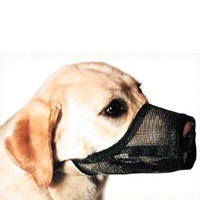 High quality nylon webbing provides ventilation for your pet. Open front allows for easier panting and breathing. Nylon straps easily adjusts to fit your dog perfectly. High quality mesh webbing provides ventilation for your pet. Open front allows for easier panting and breathing. 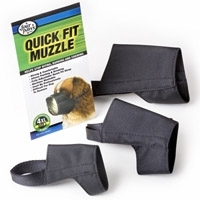 Four Paws Quick Fit Muzzles are made of nylon and completely washable. The Quick Fit Muzzles do not have a lot of buckles that always need adjustments. Only one initial fitting is needed. Allows drinking and panting. Available in 9 sizes.